Dirk Cussler is his son and co-author. Do not combine their individual author pages with each other or with any of the variant pages that include both their names. Thank you for your help. Clive Cussler reads from Devil Gate. Clive Cussler reads from Built for Adventure. Clive Cussler reads from The Kingdom. Clive Cussler reads from Jungle. 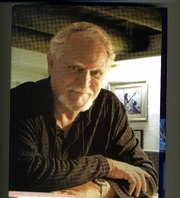 Clive Cussler is currently considered a "single author." If one or more works are by a distinct, homonymous authors, go ahead and split the author. Clive Cussler is composed of 3 names. You can examine and separate out names.